So today I bring you another review of something from my ridiculous stash of beauty items.... Today it's the turn of the bareMinerals 4.0 Eyeshadow palette in The A-List. I've had this eyeshadow palette for about a year now and I've never really reviewed it, which seems a bit odd as I use it an awful lot! What bareMinerals say: "bareMinerals READY® Eyeshadow provides exceptionally vivid, long-wearing colour in an ultra smooth, silky texture for effortless application and seamless blendability with two complementary shades. Powered by our proprietary SeaNutritive MineralTM Complex along with powerful antioxidants, cold-pressed borage oil, caffeine and cucumber-ingredients known to reduce the visible signs of ageing, including reduced look of puffiness and antioxidant defence for a softer, smoother, revitalised eye area. No parabens, no binders, no fillers, no harsh chemicals, no kidding." So the first thing to note is that I don't actually have the box for this eyeshadow palette...nooooo!! It got crushed one day and there was no saving it. This makes me quite sad but I'm so aware of the fact that this is such a first world problem that I will move on and say no more about it! Without the box the sort of rubbery outer packaging gets dirty quite quickly. I do love the feel of this kind of packaging but it's SUCH a nightmare to keep looking shiny and new. 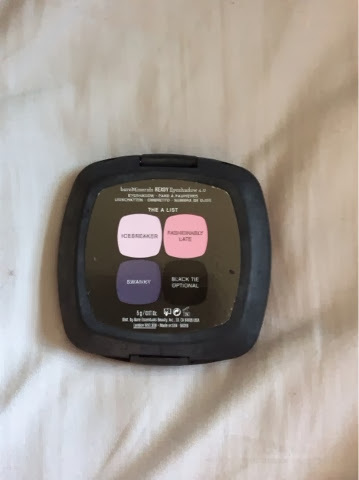 The palette contains my favourite 4 colours to wear....which is probably why it was my first choice out of all the eyeshadows to buy! As you can see....this palette is a little messy from usuage!! I've had this for about a year and a half and it's still going strong. It's definitely my most used eyeshadow palette as it's actually quite versitile. I like to mix it up ever time I use it! The white shade of Icebreaker is my favourite base colour as it's a soft white but has a bit of sparkle to it and is quite unique compared to other colours I have that are kind of, maybe, slightly the same-ish....oops. The pink can be used as a sheer wash or built up for a more intense colour. 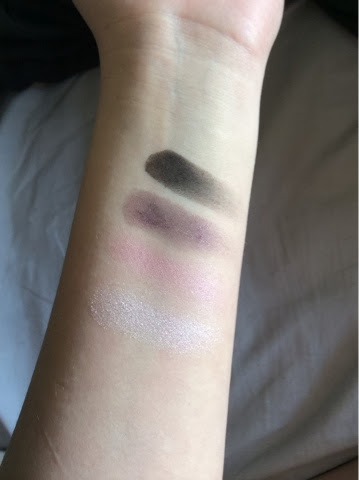 The purple actually has a gold shimmer to it that adds some dimension to it and the black is a pure matte black which is great for a soft powder eyeliner. I love using the purple as an eyeliner tooas it's quite intense but with the bit of shimmer it's different to a pure black liner. 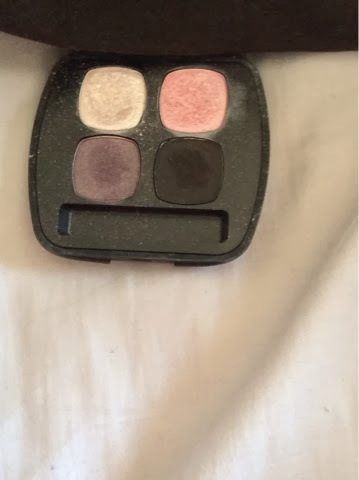 I have been able to create soft everyday looks with this palette and some intense smokey eye looks too. The only downside to this palette is that I know I'll run out of the white shade quicker than the others....a problem I think everyone has with every palette ever made!! It does come with a double ended sponge applicator but I do have a bad tendancy of just throwing those out ni frustration after them falling out every time I open the palette up for weeks after I've first brought it! I just don't like the sponge applicators! This shows you one finger swipe swatches of each of the colours. They are incredibly pigmented so a lighter hand is needed if you don't want a really intense look. All in all though, I absolutely love this palette and am always drawn to it for my everyday look as I find it easy to use and I prefer a slightly different colour look to just the neutral colours personally! What do you guys think of this palette? 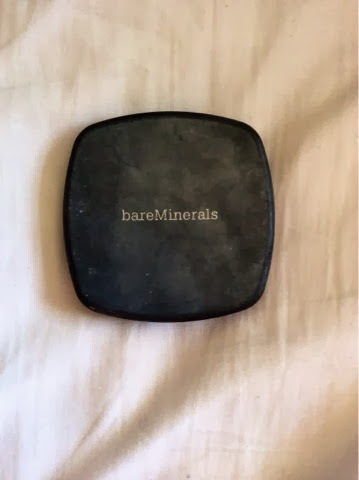 Do you have any bareMinerals eyeshadows?